A. Materials from the Research Library, Old Gen Library Stacks, Shueiyuan Library Closed Stacks, Main Library B1 Individual Collections, Main Library B1 Closed Stacks and the the Hsu-Jou Campus Closed Stacks. B. If there are copies of the materials you want in the open stacks, we suggest you use them first to save your time. (1) Please pick up your requested materials before the due date listed in the pick-up notices. 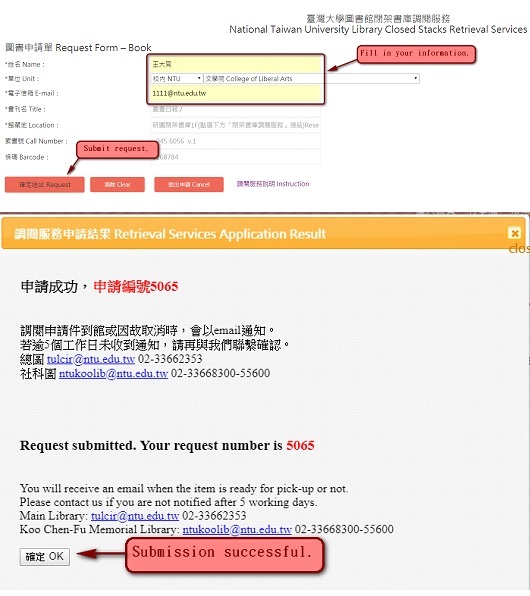 Once past the due date, the materials will be reshelved, and you will need to submit your request again online. (2) If you do not receive a pick-up notice after five working days, please contact us. 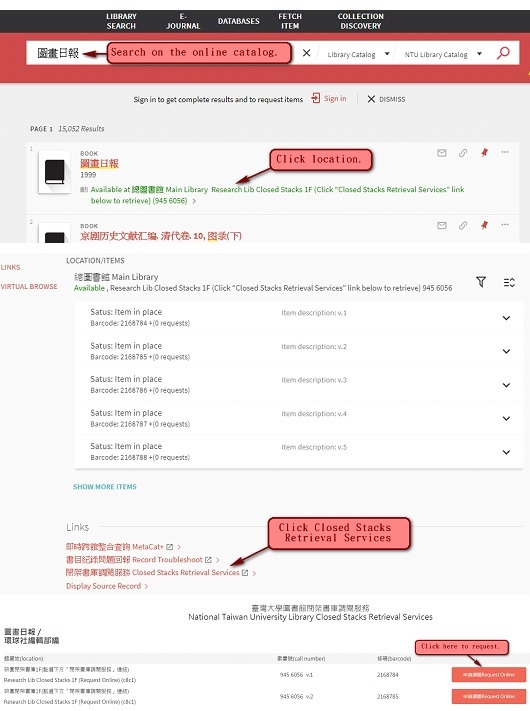 (1)For materials from the Research Library, Old Gen Library Stacks, the Shueiyuan Library Closed Stacks, Main Library B1 Individual Collections, and Main Library B1 Closed Stacks, please pick them up at the Main Library 1F Circulation Desk. 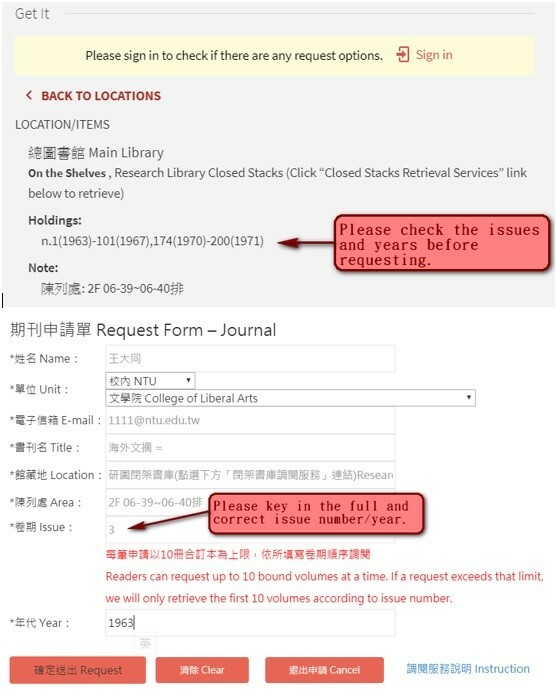 (2)For materials from the Hsu-Jou Campus Closed Stacks, please pick them up at the Koo Chen-Fu Memorial Library 1F Service Desk. (1) People with borrowing privileges can check out the materials they requested. (2) People without borrowing privileges must use the materials they requested inside the Library, and return the materials to the pick-up locations before their service hours end. B. Non-circulating materials such as reference works and periodicals: please return the materials to the pick-up locations before their service hours end.